Glint Events collaborates with the top vendors in the industry to bring your vision to life. Each vision is unique and our planning services are customized to each event. We’ll take time to learn where you are in the process to ensure you’re getting the planning guidance and support that’s right for you. Full Planning – We’ll create a custom proposal to pick up right where you are and make this process easy and fun! We’ll cover everything from logistics, design, and execution. Partial Planning – We’ll tackle some of the planning alongside you to create a beautiful and memorable event. most couples choose a handful of vendors for us to manage so you can do just the things you want to do, while having an expert tackle the things you don’t. We’ll be there at the end of the process to execute everything with ease. Design Planning – We’ll focus on all aspects of design. From invitations, floral, custom decor, lighting, and more. We will be there on the wedding day to ensure everything looks just the way you envision. Online access to Aisle Planner with Glint Events’ custom checklists, budget tracker, vendor manager, guest list tracker, and personalized wedding website. Access to Glint Events for in-person meetings, phone calls, emails, and vendor meetings. *See the full list of vendors managed below. 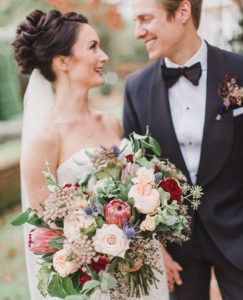 Create wedding budget based on couple’s priorities and style. Design Planning – Develop vision board to encompass the overall look and feel of the wedding day. Ensure all creative aspects of the wedding are cohesive and reflective of you. Wedding Coordination services included – click here to learn more!